it is not deers alone that go missing ! sometimes, drivers and Police men too !!! In 1987, Mani Ratnam directed Nayakan starring Kamal Haasan was a hit. It purportedly was based on the real-life story of underworld don Varadaraja Mudaliar, sympathetically depicting the struggle of South Indians living in Bombay. Be it Nayakan or The Godfather and so many other films, the thin line to success is the rise of poor in the competitive World. In one scene, a man would die in a car accident, to save the person who was about to be married, the hero would ask one of his henchmen to surrender posing as the ‘driver’ – poor can struggle in jail on payment of a few thousands – but not the rich, even when they commit any crime ! The staple of traditional Bollywood is the triumph of the underdog against the rich and the powerful, but in real life, when a hero is handed a punishment for a criminal offence of homicide, the rich and famous stand behind a drunken super rich man to slam the underdog. Away from this melee, is another publicity stunt. Nothing will get you as much publicity as claiming your life is in danger. They even give you Z-level security. But to accuse the Prime Minister of your country of trying to kill you is a very serious charge, and cannot be kept in the comfortable confines of rhetoric. It is an accusation and must be acted upon as such. Sanity must prevail on this person to understand that he is a CM of a tinyland; not even a National party – and the tall PM certainly has better things and is actually doing better things, than plotting such cynical demises. What is not acceptable is for this to be just another chapter in the "foibles" of Arvind Kejriwal. He cannot be allowed to get away with it as another selfie indulgence because this is dynamite. Back in news is the man who was driving the jeep used by Bollywood star Salman Khan during an alleged deer hunt in Rajasthan in 1998 and sticking to his claim that the actor had shot the animal. 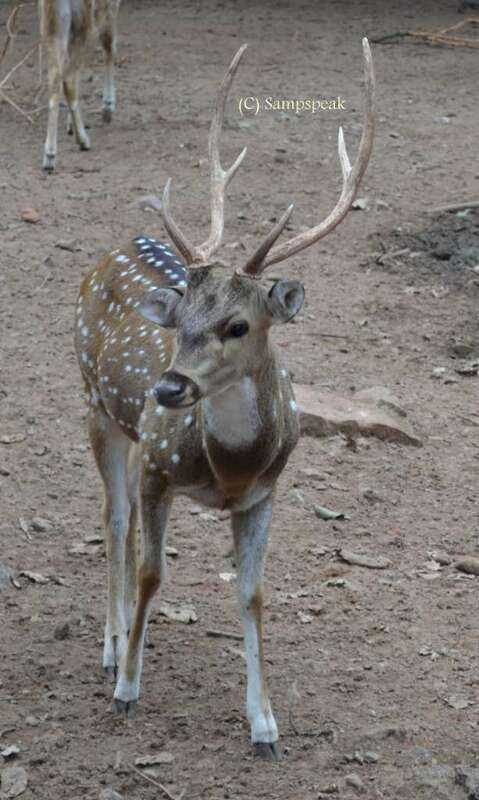 The statement by Harish Dulani, who was reported to be "missing", came two days after the 50-year-old actor was acquitted by the Rajasthan High Court in two cases related to poaching of Chinkaras in Jodhpur in 1998. Dulani also maintained that he was not absconding but was only under fear due to threats. "I stick to the statement I made before the magistrate 18 years ago that Salman got off the car and shot the deer. I was not absconding but I was scared due to several threats received by me and my father," he told NDTV. "Due to fear I went away to my relatives' place in Jodhpur. We had asked for protection but did not get it. If I had police protection, I could have given a statement. That was what I always intended," he added. The high court had held that the pellets recovered from the Chinkaras were not fired from Khan's licensed gun. Dulani, the prosecution's only witness in the poaching cases, was reported missing since 2002, which weakened the prosecution's case against the movie star. The driver also said that he has been "punished" for being Salman's driver. "I have been punished for being Salman's driver. I am living my life in fear," he said. While arguing the case in the high court, Khan's lawyer had contended that the actor had been falsely framed in these cases, merely on the statements of Dulani, the driver of the vehicle, which was allegedly used in poaching in both these cases. The lawyer argued that Dulani was never available to them for cross-examination and hence his statements could not be relied upon in the conviction of Khan. He had also contended that both the cases have been built on circumstantial evidences and there was no eye-witness or any material evidence against Salman. If you still remember the name in the first name, late Ravindra Patil was - Salman Khan's bodyguard [ it should be officer posted to accompany him !] , who played a crucial role in the actor's conviction in the 2002 hit-and-run case. It was Patil who called police after the accident, and became the complainant against the actor. Patil told the court that Khan was drunk at the time of the accident. He said he had asked the actor to drive slowly, but the actor didn't pay heed to his request.” He went missing as per Police records and years later was found in the Sewri TB hospital. Such was his physical condition that at first no one recognised him. He was reduced to a pile of bones and weighed a mere 30 kg. He was diagnosed with a deadly type of TB with little hope of survival. According to the hospital staff, Patil had reached the hospital in a pitiable condition and was unable to move or even speak. Patil had reportedly told the doctors that he was begging on the streets of Mumbai and had managed to collect Rs 50 to hire a cab to come to the hospital. He eventually lost the battle for life in Oct 2007 ~ and that does make a sad reading !!! remembering real heroes who gave their present for our tomorrow : Kargil Divas : July 26 !! 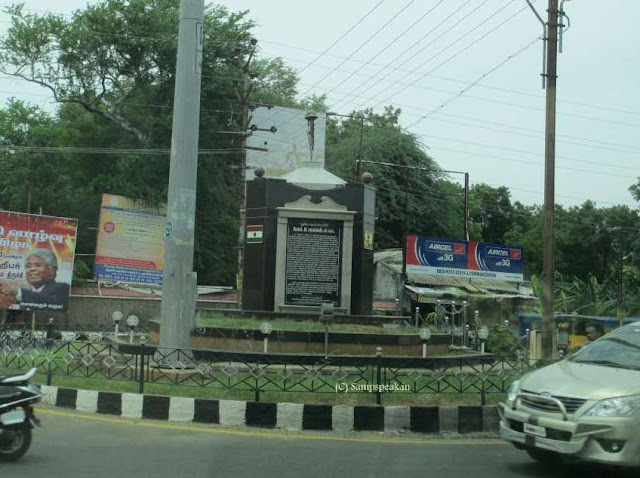 From Thiruvarangam temple, Rockfort temple and more – you have so many landmarks – yet, next time you are at Trichy, do visit this memorial on the Collector Office Road. We have seen Cine heroes donning role of Army Jawans and applaud them too (the stories of dons too become big hits !) – that is tinseldom – in real life there are some real heroes !! In our history books, we have read about 3 battles of Panipat, Plassey, Arcot and more …..will we ever read of Tololing or Kargil ! ~ on every 26th of July, it is our duty to remember those brave souls. This famous son of the Nation hailed from the tiny island of Rameswaram. His father Lt. Colonel Adi Mariappan died in a road accident in Bangalore on 1989 while serving in the Indian Peace Keeping Force during Operation Pawan in Sri Lanka. He reached bigger heights, literally. Acting Major Saravanan, the hero led a small assault group when he fell," sources say. Major M Sarvanan, the hero of Batalik, led a platoon up the Jubar Hills on May 29. While he was able to take back two bunkers the rest of Jubar Hills was under enemy control. One of the platoon members accompanying Maj Sarvanan and the only one to survive the attack, was Naik Shatrughan. He was hit on his legs three times and it took him ten days to crawl back to base. He gave the unit the information of how Maj Sarvanan died after killing at least four of the enemy in hand-to -hand combat. Naik Shatrughan later died in the field hospital because of gangrene. Maj Sarvanan possibly was the first officer to fall in the Kargil conflict. The attack led by him came in the early stages of the conflict when adequate information was not available. There was little artillery support and no aircraft cover. Nation's third highest wartime gallantry award VIR CHAKRA was awarded to Major Mariappan Sarvanan on 15th August 1999. July 26 is Kargil Vijay Diwas ~ a day to remembered by the Nation. 17 years ago, this beautiful landscape was the site of a bloody war that claimed the lives of hundreds of soldiers from India who fell fighting valiantly and killing Pakistani intruders. Kargil war came to an end on July 26, 1999 after India took over command of the outposts from the Pakistani intruders and wrested Kargil back from their hands. Seventeen years ago, Kargil happened in the backdrop of an outstanding peace initiative by the then prime minister Atal Bihari Vajpayee who went to Lahore and held talks with his counterpart Nawaz Sharif. The apparent bonhomie between the two leaders could hardly conceal the underlying rancour of the Pakistani Army which had launched a secret operation occupy glacial heights and cut off the Indian supply route after Zozilla pass in the Himalayan hill. The capture of Tiger Hill signalled India’s victory in the short but sharp war between India and Pakistan over the icy heights of Kargil. It came at the end of a three-month-long battle . The ‘intruders’ had the advantage of height and fired artillery shells with precision. The men on the ground finally realised the ‘rats’ were not ordinary infiltrators but trained Pakistani army regulars who had set up bunkers and dug their heels in for a long haul. 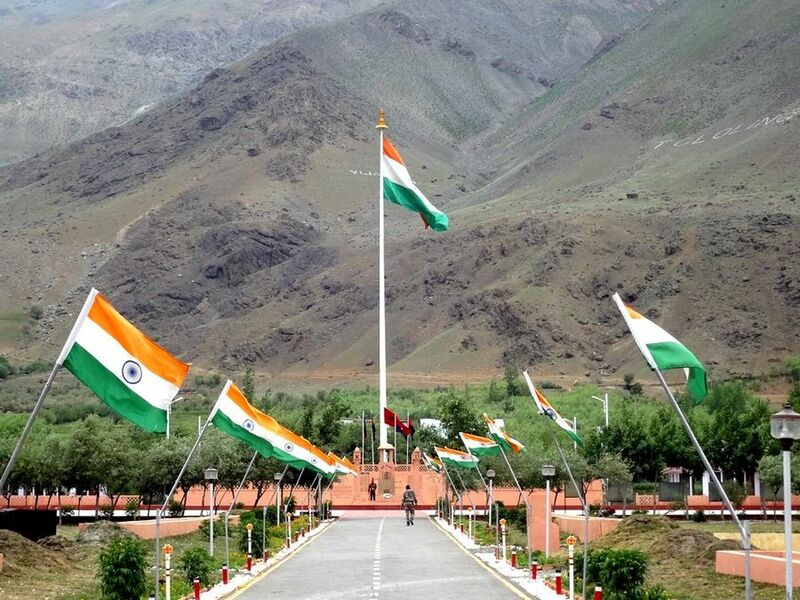 Kargil War was fought on the high glaciers of Himalayas between May and July 1999 –Tiger Hill or Point 5353, a mountain in the Drass-Kargil area of Jammu & Kashmir, India was the subject of the most famous battle. WAR is never to be craved for, it causes innumerable and irreparable losses to both the warring sides. But no Nation can afford to forget the sacrifices of its warriors. Kargil has lessons for both, India and Pakistan. The peaks of Tololing and Tiger Hill once reverberated in Indian news etched in history. India would remain a peace loving Nation having good relationship with its neighbours but should remember that there are military adventurist army driven Nations who have the propensity to engage in conflicts notwithstanding any episodic peace rhetoric. The Nation needs to remain prepared and strong militarily and in terms of civil defence measures but should not never get buoyed by war calls- and the following read in the Facebook page of Indian Army Fans is worthy of reading again and again. If you can't be a Soldier, help a Soldier. If you can't fight at the border, fight the chaos in your neighbourhood. If you can't nurse a soldier's wound, wipe the tears of his family members. If you can’t feed a soldier, pray he sleeps indoors tonight. If you can’t thank him personally, thank his parents. If you can’t help him get back, make sure his body gets home, with all due respect and much more. If you can’t be a soldier, thank them everyday. If you can’t be a soldier, encourage your child to be one. If you can't be a Soldier, learn to atleast respect one. black buck and Chinkara ~ deer become frozen before headlight and kill themselves !!! At Antigua recreation ground, Indians played in 1983, 1997, 2002 and 2006 all ending in draws. 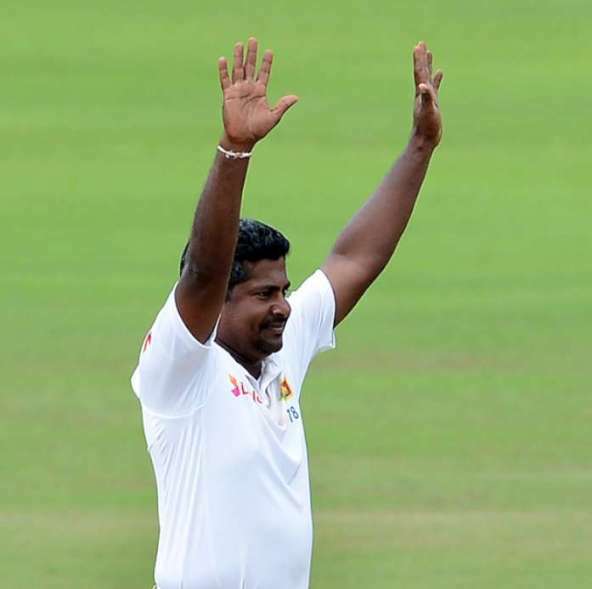 However, at Sir Vivian Richards Stadium, Antigua, India won by a huge margin of an innings and 92 runs, making it their biggest victory margin abroad. Ravi Ashwin’s 7/83 is the best by an Indian bowler in West Indies. Ash joins the elite list of Jack Gregory and Ian Botham [century and 7 wickets in an innings]. Sometime back, the Madhya Pradesh Cricket Association (MPCA) dropped all-rounder Rameez Khan from the Ranji trophy squad after he was arrested for allegedly killing a black buck in Sagar district. For the Ranji Trophy quarter final match against West Bengal, they left out Rameez as Rameez, his father Mehmood Khan and their two other associates were arrested under Wild Life Protection Act in Sagar district for allegedly killing a black buck. Deer - blackbuck and Chinkara ! Blackbuck and chinkara may look similar, but they are actually of entirely different. Blackbuck are a type of antelope, whereas chinkara are a type of gazelle. The most prominent difference between antelopes and deer is that male deer have antlers which they shed and grow every year while antelopes have horns that are permanent. Another difference is that deer antlers are branched and antelope horns are not. Antelopes belong to family Bovidae (as do sheep, goat and cattle), while deer belong to family Cervidae. The chinkara, also known as the Indian gazelle, is a gazelle species native to Iran, Pakistan and India. It stands at 65 cm (26 in) tall and weighs about 23 kg (51 lb). The sides of the face have dark chestnut stripes from the corner of the eye to the muzzle, bordered by white stripes. Chinkara live in arid plains and hills, deserts, dry scrub and light forests. They inhabit more than 80 protected areas in India. In 2001, the Indian chinkara population was estimated at 100,000 with 80,000 living in the Thar Desert. 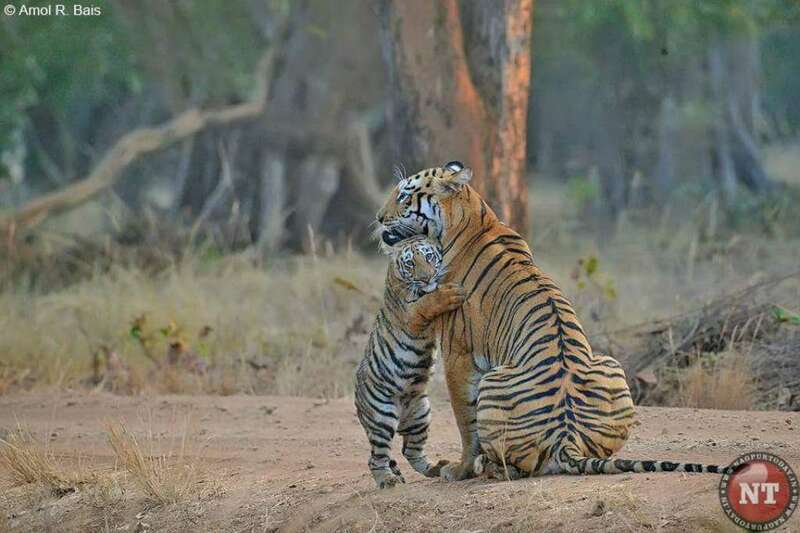 The population in Pakistan is scattered, and has been severely reduced by hunting. Also in Iran, the population is fragmented. In Afghanistan, chinkaras are probably very rare. Chinkaras are shy and avoid human habitation. They can go without water for long periods and can get sufficient fluids from plants and dew. Although most are seen alone, they can sometimes be spotted in groups of up to four animals. They share their habitat with several other herbivores, such as nilgai, blackbuck, chausingha, wild goats, and wild pigs. Chinkaras are preyed upon by leopards, Bengal tigers, and dholes. The blackbuck also known as the Indian antelope, is an antelope found in India. The long, ringed horns, 35–75 centimetres long, are generally present only on males. The blackbuck is a diurnal antelope (active mainly during the day). The blackbuck inhabits grassy plains and slightly forested areas. Due to their regular need of water, they prefer areas where water is perennially available. The antelope is native to and found mainly in India, while it is extinct in Bangladesh. Formerly widespread, only small, scattered herds are seen today, largely confined to protected areas. During the 20th century, blackbuck numbers declined sharply due to excessive hunting, deforestation and habitat degradation. During the 20th century, blackbuck numbers declined sharply due to excessive hunting, deforestation and habitat degradation. Until India's independence in 1947, blackbuck and chinkara were hunted in many princely states with specially trained captive Asiatic cheetahs. Deer have a peculiar problem ! Unlike human pupils, which are round and when dilated do not span much of the eye, deer pupils are elliptical (like a cat’s) and can dilate to cover the entire width of the orb. Since deer have larger pupils, more dilated, more amount of light reaching the retina due to their larger lens, they often become dazed when faced with powerful headlights of vehicle, causing them to freeze and eventually die too. Today web searches on ‘chinkara or blackbuck’ leads to the news of Salman Khan being acquitted from cases of killing a black buck and chinkara in two separate incidents. This phase seems to be a good one for Salman, apart from his box office success with Sultan. In December 2015, Salman Khan was acquitted in the 2002 hit-and-run case as well. Khan's father Salim Khan tweeted moments after the verdict. To read something good – there was the story of young Kiran Bishnoi of Jodhpur, who rescued and raised a chinkara fawn, becoming a poster girl in many magazines. Kiran Bishnoi, a young Rajasthani woman, saved a chinkara fawn from a pack of dogs which had surrounded the little animal. What followed thereafter is an even more moving story -like many other women of Rajasthan, she had walked up to some two kilometres when she saw this chinkara baby being attacked by dogs. She saved animal but could not carry the load and deer together. She threw away the wood collected for her livelihood and at home, as bottle feeding failed, she breast-fed the young fawn along with her child. VCR / VCP - that played movie and your marriage cassettes - is dead ! 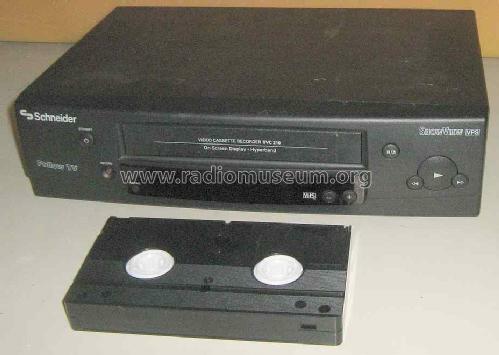 Way back in 1994, my brother on his return from Gulf got a costly gift – Sony VCR @ Rs.10000/- - it could play video cassettes, can be attached to our TV and have TV programmes recorded. In the days of audio cassette, in a time where DD’s 2nd channel has just come – VCR was a technological marvel, not affordable to middle class. Many of us would remember that late 1980s and 1990s saw mushrooming video trade. There were shops renting VCR/VCP – cassettes too would be rented. In Triplicane (as also in many other places) – on Friday / Sat nights, the rented VCP would play 3 or more cinemas continuously, watched by families, tenants sitting together and enjoying movies in common – as the rental value for a day, was considered high, people would use it to the hilt, by seeing movies together. Raj Video Vision, the shop in Mount Road [of Raj Television] had a very good collection of films; Eknath Videos tried out a video magazine; a shop in Parsn complex had a good collection of Cricket matches [ we saw many WI Vs Aussie – even Packer matches in video player] … and .. what the younger generation saw in VCP is too well known !! The videocassette recorder, VCR, or video recorder is an electromechanical device that recorded analog audio and analog video from broadcast television or other source on a removable, magnetic tape videocassette, and could play back the recording. Slowly they were superseded by the DVD player. Most domestic VCRs were equipped with a television broadcast receiver (tuner) for TV reception, and a programmable clock (timer) for unattended recording of a television channel from a start time to an end time specified by the user. In later models the multiple timer events could be programmed through a menu interface displayed on the playback TV screen ("on-screen display" or OSD). This feature allowed several programs to be recorded at different times without further user intervention, and became a major selling point. The videocassette recorder remained in home use throughout the 1980s and 1990s, despite the advent of competing technologies such as Laser disc(LD) and Video CD (VCD). The VCD format found a niche with Asian film imports, but did not sell widely. Many Hollywood studios did not release feature films on VCD in North America because the VCD format had no means of preventing perfect copies being made on CD-R discs, which were already popular when the format was introduced. The birth of the century saw DVD becoming universally successful optical medium for playback of pre-recorded video, as it gradually overtook VHS to become the most popular consumer format. DVD recorders and other digital video recorders dropped rapidly in price, making the VCR obsolescent. In a few years, rapidly the VCP was gone, dead and buried. Today read an article in Washington Post that the videocassette recorder that revolutionized home entertainment by allowing television audiences to capture their favourite shows on tape and watch them at their leisure will die later this month after a decade-long battle with obsolescence. It is roughly 60 years old. Globally, it was a key fixture in each household as a means for watching movies with terrible resolution, forced viewing of grainy family milestones, mainly the wedding videos. In case you are middle-aged, sure you would have watched your marriage video umpteen times, but now you may neither have the player to play it nor would it work, unless of course, you had converted them into CD / DVDs. The VCR’s demise may come as a shock, mostly because many thought it was already dead. The article reads that for those of you who may have fond -- or not-so-fond -- memories of the video cassette recorder, today is a day to feel old and wallow in VCR nostalgia that younger generations will only experience through stories of the device that changed TV viewing habits for those who had been at the mercy of broadcast schedules. The news is that the last VCR is set to be produced in Japan by the end of the month, according to the BBC. A company called Funai Electric -- which has been producing VCRs for 33 years -- will cease production, the BBC reported, citing the Japanese newspaper Nikkei. Funai produced only 750,000 units last year, which sounds like a lot, but when compared to the 15 million units per year that it reportedly sold at the technology’s peak popularity, isn’t all that much. Though the VCR will soon be gone, its legacy cannot be forgotten. Its influence is evident today in the binge-watching and time-shifting habits that have become a norm in home entertainment. Television and film were once by appointment only; stations would air your sitcom at a slated time, and studios would release movies during set windows. You watched when they wanted. All that changed with the rise of VCRs and those black, stackable VHS tapes they played. But the life of the VCR, like all things, was one of complication and mystery. Why, for example, was the machine hellbent on eating every favorite VHS cassette? How did your cat manage to unspool 1,000 feet of tape from that black plastic box? And what do you mean you accidentally taped over our wedding video? Now, we may never know the answer. The birth date and birthplace of the VCR depend on how far back you want to look. Video recording technology itself dates to the early 1920s, but the company Ampex is credited with developing the first commercially viable videotape recorder in 1956. The machine was bulky, expensive and designed primarily for professional broadcasters. A variety of home video recorders from Phillips, Telcan and Sony, among others, came to market over the next two decades, but widespread consumer adoption remained elusive. In fact, VCRs found their earliest customers in hotel chains during the 1970s, said Mark Schubin, a technology consultant and member of the Emmy Engineering Committee. The heyday came in the 1980s and and ’90s, when VCRs exploded in popularity. The number of households with VCRs climbed from 14 percent in 1985 to 66 percent in 1990, according to Nielsen data. VCR penetration peaked at about 90 percent of households in 2005. The common issue with older tapes was a sort of distorted picture that required you to manually adjust your VCR’s “tracking” -- usually done by turning a knob on the front of the device. If the knob was not doing its job, then a cleaning tape was required. Dust and other grime collecting in a VCR could distort playback, requiring users to purchase a special tape that wiped clean the play heads -- the components that read the tape. There was also the complaint of bad placement of stickers on the cover of cassettes. Misaligned cover art could drive some people absolutely crazy. It is official ~ the VCP / VCR is dead ! Source : BBC & Washingtonpost. 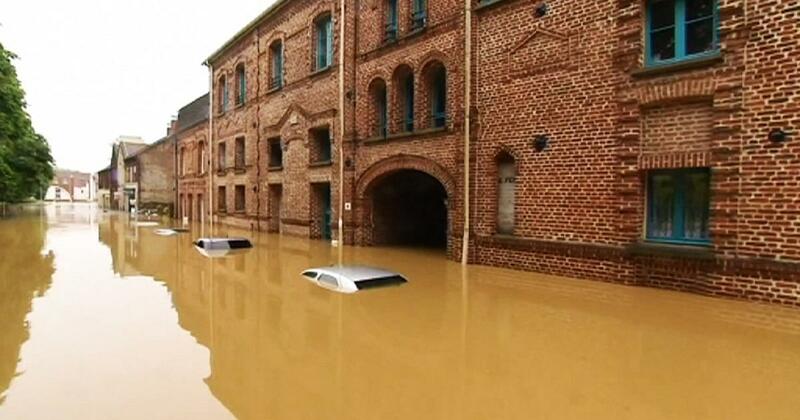 devastating floods in China kills 100s and damages lot of property !! 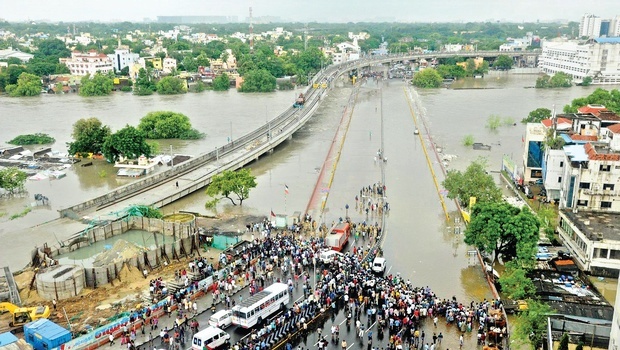 Chennaites will remember Nov & Dec 2015 rains – it rained so heavily that the Maraimalai adigal bridge in Saidapet had water running over it ! .. .. .. a few months after the floods, most Insurance claims perhaps stands settled and insurance rates still at the same rockbottom with people involved stating that floods were a rare occurrence and hence should not be factored in rating ! Miles away in China, the Yellow River or Huáng Hé, is the third-longest river in Asia, following the Yangtze River and Yenisei River, and the sixth-longest in the world at the estimated length of 5,464 km (3,395 mi). The river basin was the birthplace of ancient Chinese civilization, and it was the most prosperous region in early Chinese history. However, because of frequent devastating floods and course changes produced by the continual elevation of the river bed (due in part to manmade erosion upstream), sometimes above the level of its surrounding farm fields, it also has the names China's Sorrow. Flood mostly is natural phenomenon and could be devastating – it is overflow of water that submerges land which is usually dry. The European Union (EU) Floods Directive defines a flood as a covering by water of land not normally covered by water. Flooding may occur as an overflow of water from water bodies, such as a river, lake, or ocean, in which the water overtops or breaks levees, resulting in some of that water escaping its usual boundaries, or it may occur due to an accumulation of rainwater on saturated ground – there could be combination of factors as well. Some floods develop slowly, while others such as flash floods, can develop in just a few minutes and without visible signs of rain. A one-hundred-year flood is a flood event that has a 1% probability of occurring in any given year. Based on the expected 100-year flood flow rate, the flood water level can be mapped as an area of inundation. But there may not be a pattern ! .. .. ….. the 1931 China floods were a series of floods that occurred in the Republic of China. 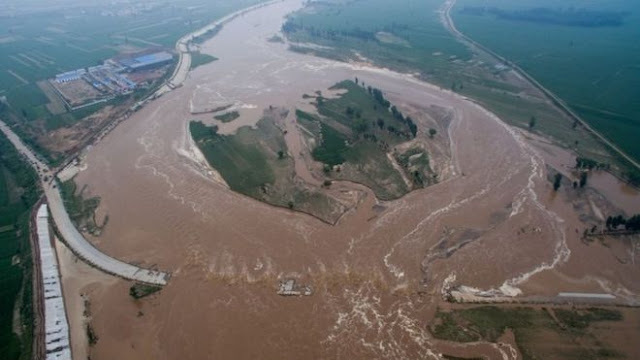 The flooding of yellow river is generally considered among one of the deadliest natural disasters ever recorded, and almost certainly the deadliest of the 20th century. Hebei is a province of China in the North China region. The name Hebei literally means "north of the river", referring to its location entirely to the north of the Huang He 黄河(Yellow River). Henan is a province located in the central part of the country. Although the name of the province means "south of the river",approximately a quarter of the province lies north of the Yellow River, also known as the "Huang He". Henan is the birthplace of Chinese civilization with over 3,000 years of recorded history, and remained China's cultural, economical, and political center until approximately 1,000 years ago. The provinces are in news for wrong reasons .. floods in north and central China have killed at least 150 people, with scores missing and hundreds of thousands forced from homes, reports BBC. Hebei and Henan provinces are the worst hit by the flash floods and landslides. At least 114 people have been killed in Hebei, with 111 missing and 53,000 houses destroyed, officials say. Heavy rains this past week in northern China caused extensive flooding, overwhelming levees and killing at least 72 people in one province, with many others missing, state media reported. The death toll in Xingtai, an industrial city in Hebei Province, rose sharply on Saturday, days after a wall of water descended on one village in the middle of the night with little or no warning, according to the Beijing News. In addition to the 25 people in Xingtai who were confirmed dead, 13 were missing, China National Radio reported on its official social media site. In both places, the local government took days to make public the devastation and report the casualties. The reports were from only two locations in Hebei, a densely populated province on the North China Plain that abuts Beijing. On Saturday, the website of the local Ministry of Civil Affairs listed 72 deaths, 78 people missing and more than 298,000 people displaced across the province. Hebei has a population of more than 73 million. Large portions of China have been inundated with heavy rain this summer. More than 160 people died in southern China after heavy rains and flooding this month, with many people blaming the local government for failing to invest in proper drainage systems and for the extensive filling in of lakes that in the past could absorb much of the water. Chinese-language posts on Twitter, which is blocked in China, reportedly are showing pictures and videos purporting to show the devastation in the village of Daxian, which was inundated after a nearby levee burst. One video showed water cascading over homes, turning streets into rivers and apparently sweeping several people away. Other images showed corpses in farm fields. The images could not be verified as genuine. In a news conference on Saturday, officials in Xingtai denied reports that the flooding had been caused by an unannounced discharge from a local dam, saying that the flood was the worst in the area’s history and that people had been given warning of the heavy flooding through social media and television alerts. Though it is not clear why the local governments did not report news of the flooding and deaths sooner, it reportedly is not unusual for Chinese officials to want to play down bad news. In 2012, heavy floods in Beijing killed dozens of people, but officials were slow to disclose details. Effective flood control has been a marker of well-run governments in China for thousands of years. At the places devastated by floods, the victims complained about a lack of flood warnings and ineffective rescue efforts. There have been power cuts and major problems with the communications and transport networks across a wide area, Xinhua said. The summer rains have been especially heavy in China this year. BBC reports that it is estimated that more than 1.5 million hectares of crops have been damaged and said direct economic losses exceed $3bn (£2.3bn). 23rd July 2016 @ 22:24 hrs. Source : BBC and other media. The history of freedom movement in India, often is summarized in one pithy sentence: "Mahatma Gandhi gave us freedom through non-violence." For sure freedom was not that easy and there were so many sacrifices of persons with varied thought processes. The year 2016 marks the centenary of a great slogan ‘Swaraj is my birthright’ and today marks the birth of a great leader - Thilagar. Bal Gangadhar Tilak ( Lokmanya Tilak ) [1856-1920] a great nationalist, teacher, social reformer, lawyer and an independence activist, was the first leader of the Indian Independence Movement. The British colonial authorities called him "Father of the Indian unrest." ‘Lokmanya’, means "accepted by the people as their leader. Tilak was the strongest advocate of the"Swaraj",which means (self-rule in english) and a strong radical in Indian consciousness. He is known for his quote *Swarajya is my birthright and I shall have it!*. He formed a close alliance with many Indian National Congress leaders including Bipin Chandra Pal, Lala Lajpat Rai, Aurobindo Ghose, V. O. Chidambaram Pillai and Jinnah. As a strong advocate of Swaraj, he was against Gandhi's policy of non-violence, advocating use of force where necessary. Tilak joined the Indian National Congress in 1890. He opposed its moderate attitude, especially towards the fight for self-government. A radical, he was, he published strong articles in his paper Kesari (Kesari was written in Marathi, and Mahratta was written in English). 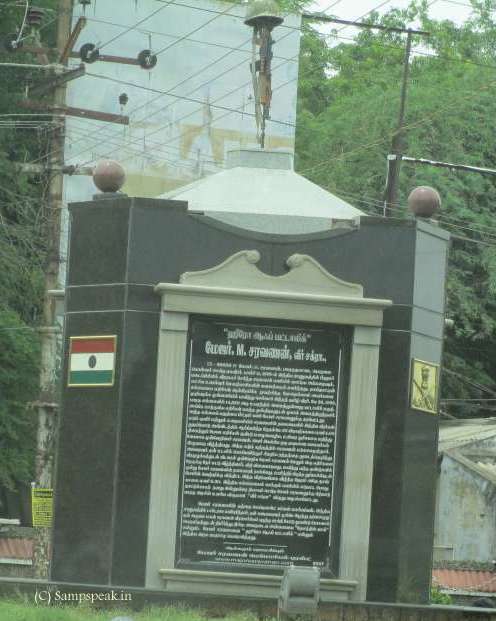 Thilakji was charged with incitement to murder of Commissioner Rand and another British officer, Lt. Ayerst in 1897 by Chapekar brothers and their other associates. He was sentenced to 18 months imprisonment. Following partition of Bengal, which was a strategy set out by Lord Curzon to weaken the nationalist movement, Tilak encouraged the Swadeshi movement and the Boycott movement. The movement consisted of the boycott of foreign goods and also the social boycott of any Indian who used foreign goods. Tilak’s strong opinions were supported by Bipin Chandra Pal in Bengal and Lala Lajpat Rai in Punjab. 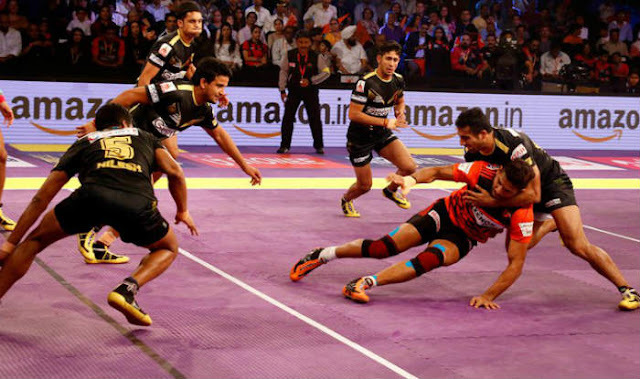 They were referred to as the "Lal-Bal-Pal triumvirate". In the annual session of Congress in 1907 at Surat, there was trouble over the selection of President. Gujarat. The party split into the radicals faction, led by Tilak, Pal and Lajpat Rai, and the moderate faction. Nationalists like Aurobindo Ghose, V. O. Chidambaram Pillai were Tilak supporters. During his lifetime among other political cases, Bala Gangadhar Tilak was tried for Sedition Charges, three times by British India Government. Firstly in 1897, in 1909 and in 1916. The middle one for his support to the two Bengali youths, Prafulla Chaki and Khudiram Bose, who threw a bomb on a carriage at Muzzafarpur, to kill the Chief Presidency Magistrate Douglas Kingsford of Calcutta fame. While Chaki committed suicide when caught, Bose was hanged. Tilak was handed a six year imprisonment and was sent to Mandalay, Burma from 1908 to 1914. While imprisoned, he continued to read and write, further developing his ideas on the Indian nationalist movement. While in the prison he wrote the Gita Rahasya. Wikipedia states that Tilak developed diabetes during his sentence in Mandalay prison. This and the general ordeal of prison life had mellowed him at his release on 16 June 1914. The year 2016 marks the centenary of Tilak's famous slogan 'Swaraj is my birthright and I shall have it'. Lokmanya: Ek Yug Purush, is a Marathi biopic released in 2015. Subodh Bhave played the title role. ** The silver bed of Marina Beach at Chennai was the venue where the great national leaders like Balagangadhara Thilakar, Lala Lajpath Rai, Bipin Chandran Paul, Mahathma Gandhi, Subash Chandrabose, C.R. Doss, Mahakavi Bharathi, V.O. Chidambaram Pillai and others made their clarion call to the people of the land to raise against the British rules. This place is known as ‘Thilakar ghat’ - now has a plaque opposite to Presidency college.